Family law disputes can be extremely emotional and complicated. It is crucial to have a knowledgeable attorney on your side who will concentrate on understanding your personal goals and family objectives while providing the candid advice you need to advance the matter and move forward with your life. At Cotter & Zelman, P.A., our Winter Park family law attorneys have more than 65 years of legal experience and a long history of success. We understand the nuances of the divorce process, and we strive to guide families to resolutions that protect their emotional and financial interests. We understand that family dynamics are complex, and no two cases are the same. We will tailor our approach to the needs of your family. Experience has taught us that many matrimonial law issues are best settled through reasoned negotiation or mediation, although we recognize that some family disputes cannot be settled outside of the courtroom. If you are facing the prospect of divorce or another difficult family law matter, the Winter Park family attorneys of Cotter & Zelman, P.A., can help. 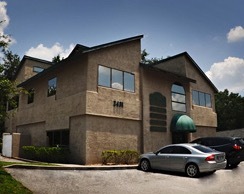 Call our Orlando family law lawyers at 407-629-4711, or contact us by email to schedule a free consultation. We look forward to speaking with you.